"Work" is one of Charlie Chaplin's Essanay short comedies, featuring Edna Purviance, a star of Silent Hall of Fame. 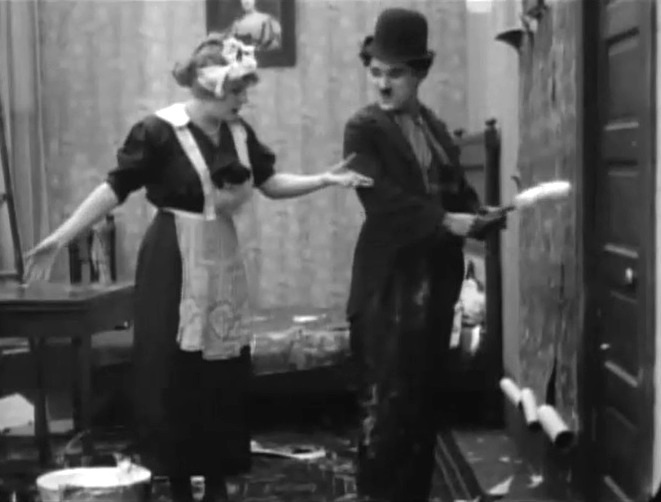 Edna Purviance the maid is busy reading a magazine while the lady of the house is busy cleaning in "Work" (1915). 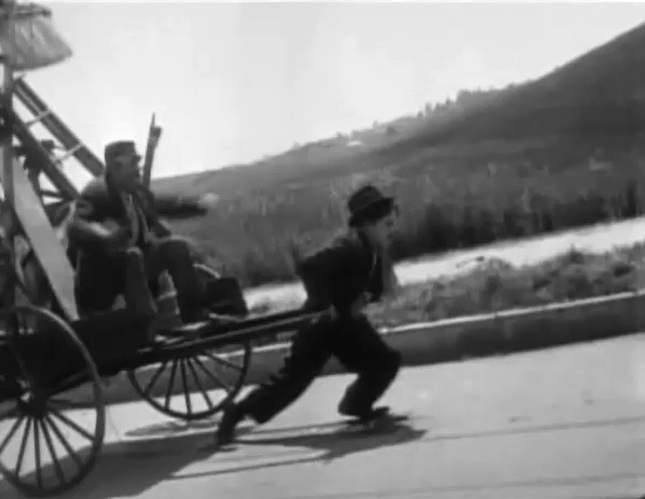 Charlie Chaplin pulls the cart with his boss and the tools in "Work" (1915). 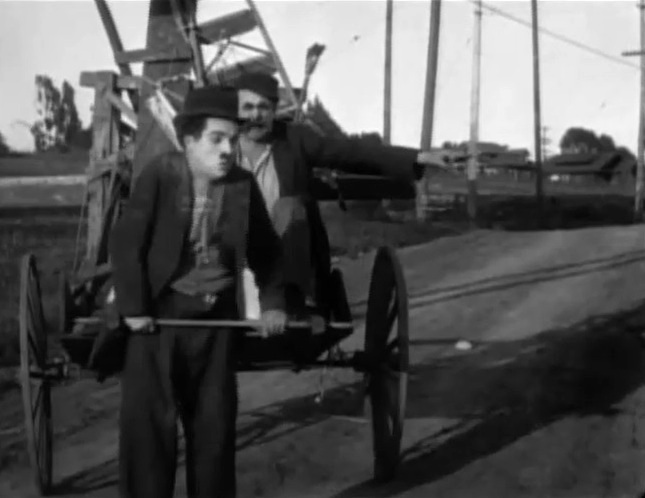 Charlie Chaplin has a hill to climb in "Work" (1915). 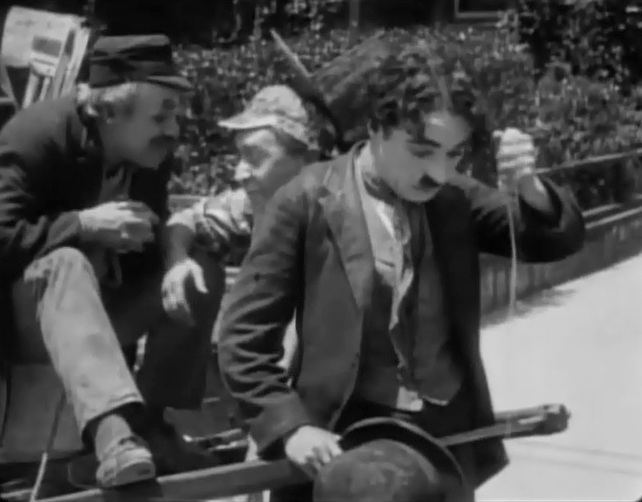 Charlie Chaplin wipes some sweat from his face in "Work" (1915). 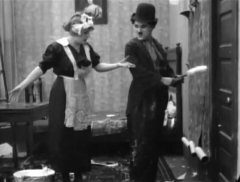 Edna Purviance meets Charlie Chaplin in "Work" (1915). 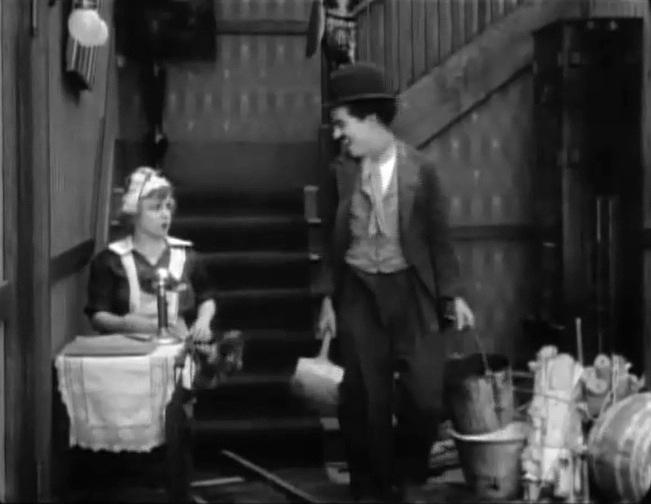 Edna Purviance takes a break from dusting in "Work" (1915). 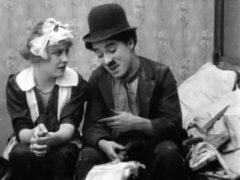 Edna Purviance interacts with Charlie Chaplin in "Work" (1915). Edna Purviance listens to Charlie Chaplin's sad life story in "Work" (1915). 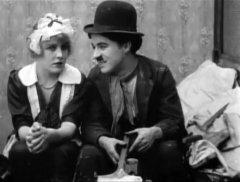 Edna Purviance is moved by Charlie Chaplin's story in "Work" (1915).